What makes a beach so special? For us, it has to be the surroundings, the powdery sands and the clarity of the water. There's nothing better than floating on your back in the sea and gazing up at the clear blue sky, or towering mountains and karsts. The perfect beach must have very few tourists, be a quiet place to chill out for the day, and if it's a bit difficult to get to, it just makes it all the more incredible! 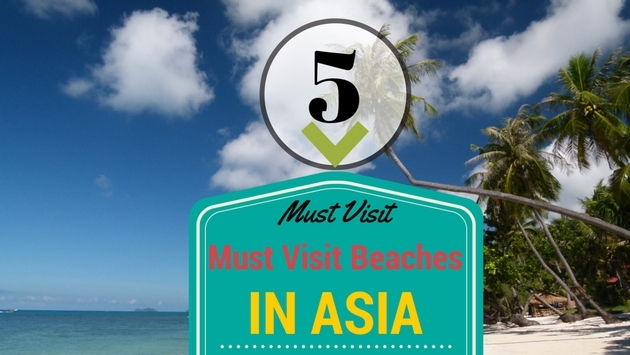 Since the article 5 Must-Visit Beaches in Southeast Asia was so popular, we thought we'd make a part two. 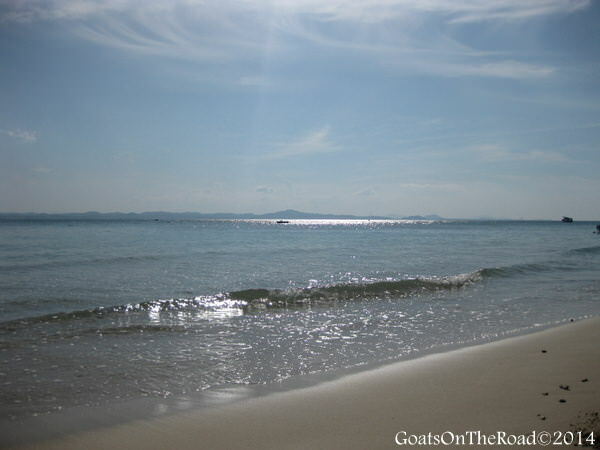 Koh Phangan is home to the crazy, monthly Full Moon Party, but outside of this time, the island is very quiet. Even more quiet is the lovely Leela Beach. Located just a 15 minute walk from the popular Haad Rin Beach, Leela's waters are calm, clear and inviting. Swaying palm trees make up the backdrop and there are only a few bungalows scattered along the beach. This is the perfect spot for chilling out, playing some paddle ball or going for a swim. At certain times of the month, a seafood BBQ will sprout up on the beach; this is not to be missed! 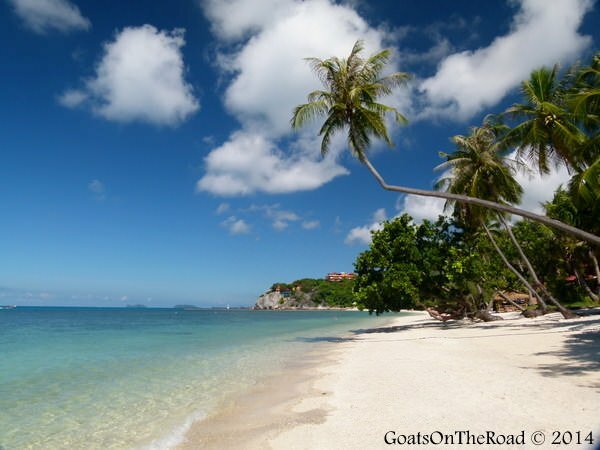 Koh Phangan is one of our favorite islands with some awesome accommodation options. PHOTO: Palm tree at Leela Beach, Thailand. Tiny Pulau Kapas is only 2 kms wide by 1km long. Not many tourists come to this off-the-beaten-path island, as it's mainly a weekend destination for traveling locals. The beaches here are sandy and soft and the water is very calm. The surrounding coral reefs offer excellent diving and snorkelling as well. There's no Wi-Fi on the island and no ATMs either, making it a great place get away from it all. PHOTO: The beach on Kapas Island, Malaysia. There are numerous beaches on this off-the –beaten-path island located in the south of Vietnam, which is actually quite close to Cambodia. Not many people make their way down here, which is great if you're looking for comforts, amenities and beautiful beaches, without the crowds. Check out Long Beach and Star Beach. PHOTO: Powdery white and practically deserted! Phu Quoc, Vietnam. This sleepy beachside village is a highlight to any trip to the Philippines. There are no paved roads, no buses come here (only the occasional jeepney), there's no electricity until 5 p.m. and there are no ATMs. The beach here is local, rustic and full of charm. The surrounding islands are stunning and perfect for an island-hopping day trip, but the beach at Port Barton itself is lovely and still a great place for swimming. 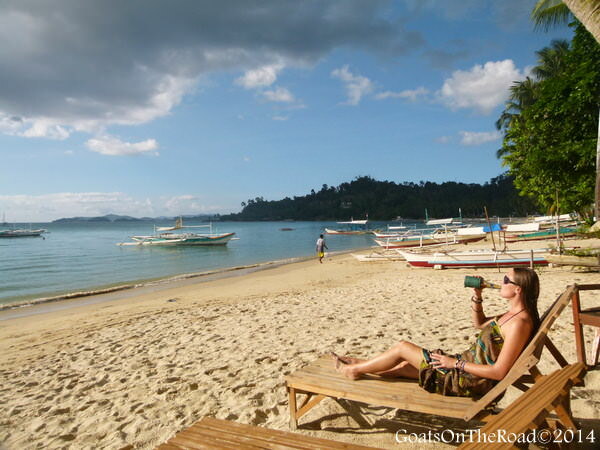 PHOTO: Relaxing at the beach, Port Barton, Philippines. 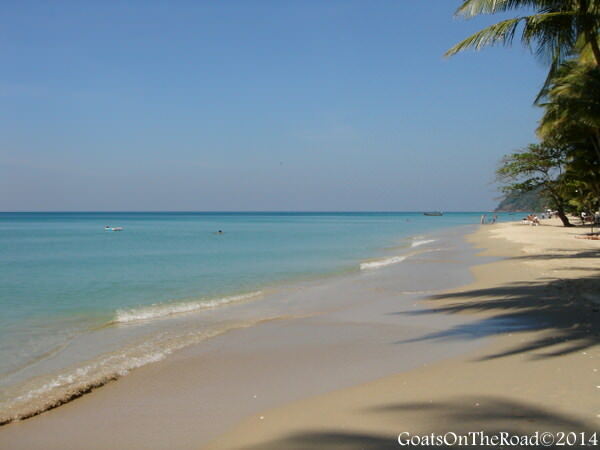 This aptly named beach is more built up than others in Thailand, but it is still beautiful. At one far end of the beach, you'll find bungalows where most of the backpackers to Thailand would hang out, and at the other end are hotels and resorts. There are loads of accommodation options on Koh Chang. The water here is calm, blue and clear, while the sand is, well, white. The best thing to do is swim in the clear water, while looking back towards the lush, jungly mountainside. 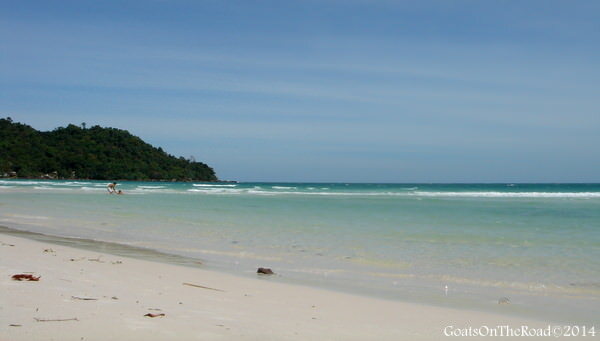 PHOTO: White Sands Beach, Koh Chang, Thailand. What do you think of this list? Where are your favorite beaches in Southeast Asia?